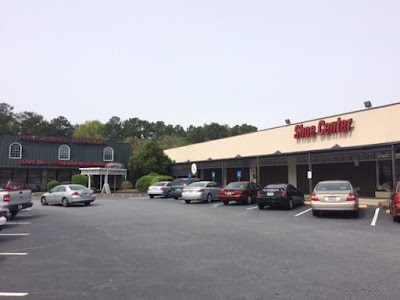 Petite Auberge, one of Toco Hills shopping center's longest standing tenants is relocating. In an email distributed earlier today, the restaurant announced that they would be moving from Toco Hills to Clairmont Road near Sam's Club. It had reportedly been ownership's desire for many years to find a freestanding building "of our own." The space to which Petite Auberge will relocate is currently home to Violette, another French restaurant. 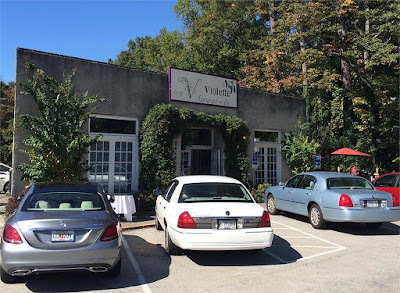 Violette, located in a freestanding building at 2948 Clairmont Road, first opened in Atlanta in 1988 before its then owner Chef Guy Luck designed and constructed its current home (much of it with his own hands) on Bastille Day, July 14, 1995. Luck, a native of Strasbourg, France, grew the restaurant to become one of the more popular in the area. Tragically, in 2003, Luck was abducted in his vehicle from his Atlanta home and subsequently taken to Chattanooga where he was murdered. (Luck's captors/murderers were brought to justice in 2008.) Luck's friend and business partner, Stephanie Belcher, continued to carry on his legacy, running the restaurant since then. 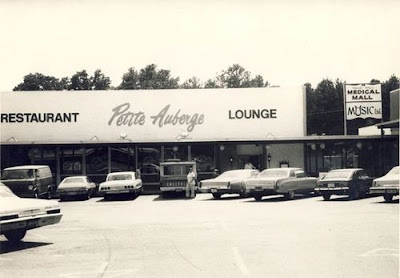 Wolfgang Gropp opened Petite Auberge at Toco Hills shopping center in 1974. In the decades since, the restaurant has changed in many ways, but has remained family owned. It is now run by Chef Gropp's sons Michael & Anthony. The current restaurant measures about 9,000 square feet. They will downsize in their new location to just under 6,000 square feet. The Olive Oil and Vinegar Boutique, which was added to the restaurant in 2013, will reportedly make the move as well, but perhaps in a smaller version. Petite Auberge invites its patrons to "continue to join us in Toco Hills for the last of our traditional events in 2016 like Oktoberfest, Dinner and a Diva, Thanksgiving Dinner, and New Year's Eve Dinner--our final bow at this location." The new restaurant, located in the City of Brookhaven, is expected to open "January 2017." Petite Auberge's departure from Toco Hills, while unfortunate, is not altogether surprising. 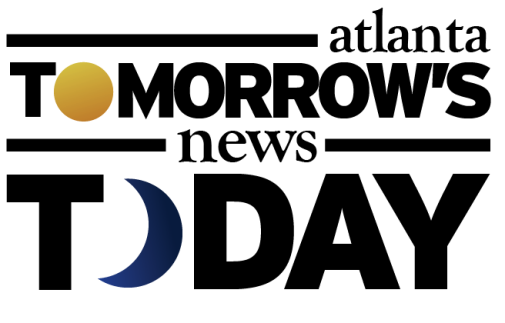 Edens, a Columbia, South Carolina-based real estate firm which signed a 35-year ground lease on Toco Hills earlier this year, is in the midst of a significant renovation of the center. Much like Edens did in Andrews Square (and surrounding parcels) in Buckhead, many smaller, local tenants are being priced out of their spaces by the firm's rent increases and efforts to appeal to higher paying, national tenants. Petite Auberge's relocation from Toco Hills comes on the heels of Shoe Center's closure at the center earlier this summer. Local sources indicate that Edens is keen on re-leasing both the 20,000 square foot Georgia Department of Labor space and a portion of the 20,500 Office Depot space to other, higher paying tenants. While a renovation is great, all Edens has done thus far is tear up the parking lot, reduce the number of parking spaces, refuse to comment on anything and price-out a number of longstanding tenants. What are your thoughts on the changes at Toco Hills? Do you think Petite Auberge has chosen a good location for their new home?  In your opinion, what is the beat French restaurant in metro Atlanta? ***I apologize I did not make this clear in the original post. According to representatives at both Violette and Petite Auberge, the two restaurants are "merging." The new restaurant will reportedly adopt the Petite Auberge name with Petite Auberge ownership managing and owning the building and the business. Existing employees at both restaurants will be offered employment at the new restaurant. 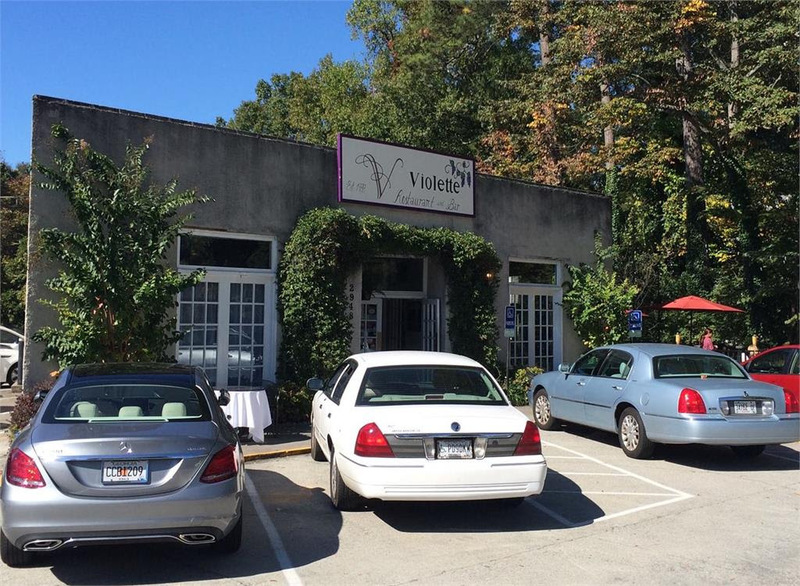 There are currently no plans to reopen Violette elsewhere. Is Violette closing? If not, where is it going? Is the nightclub still opening near Sams? They seem to have tore it up and stopped several months ago. This center needs cleaned up and the DOL needs to be close to transit anyway. But where is Violette moving to? What is happening with Violette? What is happening to Violette? Sad to see this even though I don't dine at the restaurant. Successful independent restaurants are such a rare breed. I hope they are successful at their new location but you never know. I'm not much of a French food fan but recently went to Bistro Niko and it was pretty good. So I guess they are going to replace those tenants with Show Carnival and a Mattress Firm? Maybe an Aspen Dental? Blecch. I grew up in Toco Hills and what Edens is doing to that center is really disappointing. That shopping center is so sour and ancient, glad to see this part of DeKalb slowly catch up to today. What is happening to Violette? Both are good restaurants - are they forming a partnership? If so, which name stays on the restaurant? Edens has apparently forgotten that you "Dance with the one that brung you." I apologize I did not make this clear in the original post. According to representatives at both Violette and Petite Auberge, the two restaurants are "merging." The new restaurant will reportedly adopt the Petite Auberge name with Petite Auberge ownership managing and owning the building and the business. Existing employees at both restaurants will be offered employment at the new restaurant. There are currently no plans to reopen Violette elsewhere. Thank you all for your comments and readership. Basically Petite purchased Violette, no merging of the two no matter what they say. Petite got the building and removed a competitor! I think Petite Auberge has a good chance of surviving at the new location. It is close enough to their customer base. It seems like they do a lot of parties - hopefully they have the room and parking to accommodate that. I do think they need to keep their food quality up though. We have gone there a few times and felt like the food was just reheated and not fresh. I will miss their old location. It was a very comfortable atmosphere and felt like a step back in time. I'm not happy with the changes to Toco Hill. I liked their different unique places. I think the new owners are going to over develop it and the parking lot won't be able to accommodate it. Wonder if they will keep the awesome liquor store? I think the "good old simpler times" crowd should band together to purchase Toco Hills. As the owners, you can demolish half of the structures, pull up half the asphalt, and plant hardwoods. The remaining stores would be leased only to independent shop owners owners and they would have to agree to sell only locally produced products. Of course you'll need a dog park and lots of spaces for autonomous Ubers. Wisdom would have Violette's food going forward. It has always been so good, and PA is mediocre at best. I have never had a meal at PA that I considered "good" on the occasions when I have had to go there. Gillette's quiche is always fabulous, and everything else has followed that lead as well. PA? Oh, no. Looking forward to DOL leaving and something more appealing moving in!!! We've been having a banquet at PA every year for quite some time and we hope they will still have that as an option at their new space! kind of scary to think of PA's blue-haired fans making those left turns into the new location. The new location needs some serious pressure washing and freshening up. Seems like the former Mykonos would have been an even better location. I love PA and Violette! So glad they are merging. This parking lot is crazeeeee! No wonder smaller establishments can't stay - their patrons can't park! There is only 1 handicap space at the Nail Salen & Ace corner - trust me many HCap patrons need that one spot! Seriously Tennis, no way you can park there, Lets see how the new Indian restaurant that took Maddios does, no parking either. I hope all this new work pays off and supports this end of the shopping center. I agree when I first read it I was hoping they were going into the old Mykonos location. Eden should realize that businesses will only succeed if their customers can park there. The corner by the Publix, Ace Hardware, Goldberg, Top Spice etc. is impossible to park at. I've skipped shopping a couple of times because there was no space. And if you find one a car with anything but a tiny turn radius is hell to fit in. Right angle turns isn't what cars do. Squeezing businesses with similar opening hours and lots of foot traffic into the same space is going to end up with some of them failing or not making enough profit to stay. Okay - you win. Screw all the old mom and pops. It's time to freshen up with a brand new Mattress Firm and Self Storage Center! And chains. More mediocre chain restaurants please! Anyone with less than 500 locations need not apply.